Even if I wanted to cook in this horrific heat wave we are experiencing in New York City, I wouldn’t. After spending over ten months in a developing country where raw products are questionable AND after combating a nasty stomach bug, I am pretty elated to be eating vegetables. Not vegetables boiled, baked, grilled or sauteed, but raw vegetables. Vegetables that are clean and crisp and taste like summer sun and dirt. Eggplant and greens and tomatoes and corn… everything you associate with a New York farmers market after a long, cold winter. I literally became giddy the other day when I was standing in line at one of those build-your-own-salad stations at the deli. All these raw vegetables to choose from!! What fun!! (I am definitely loosing my edge. Who freaks out over a salad station?) I am loving everything the farm stand or veggie section of my local supermarket can stock. No. No bacon. 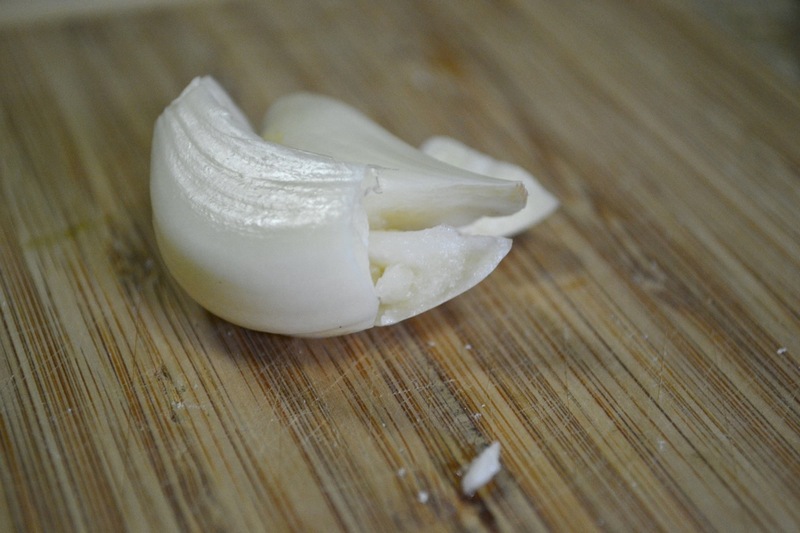 Meat is not going to be on the list of things to devour in season this summer. I feel saturated with meat. Don’t get me wrong, I am NOT complaining, but almost a year in Guatemala has provided me with plenty of meat-ladened dishes. In New York, I would be good about buying local / organic / grass-fed blah blah blah. But in Guate, I was happy to eat whatever was on my plate. I usually licked it clean. And asked for seconds. So this summer I am returning to lighter, simpler eating. This recipe caught my eye a few weeks back on fiveandspice.com. If you recall, I am a bit obsessed with kale and kale and kale and kale. And while in Guatemala, I barely found it. So it seemed appropriate to post this one right off the bat. I hope you enjoy! Time: 15 minutes, serves 4; adapted from Food52 via fiveandspice.com. Pulse garlic, mustard, Worcestershire sauce and lemon juice together in a blender and pulse until garlic is roughly chopped. 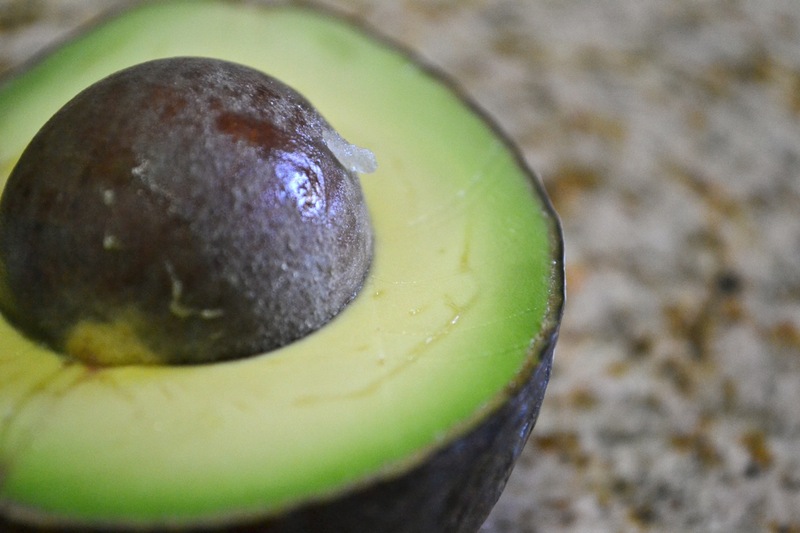 Add the avocado, olive oil, and greek yogurt. Process until smooth. If the dressing seems way too thick, add in a tsp. or two of water and process again. Transfer the dressing to a bowl, stir in the Parmesan, and place saran wrap directly on the surface of the dressing. Refrigerate. Wash the kale, remove the ribs, then slice the leaves into very thin pieces. 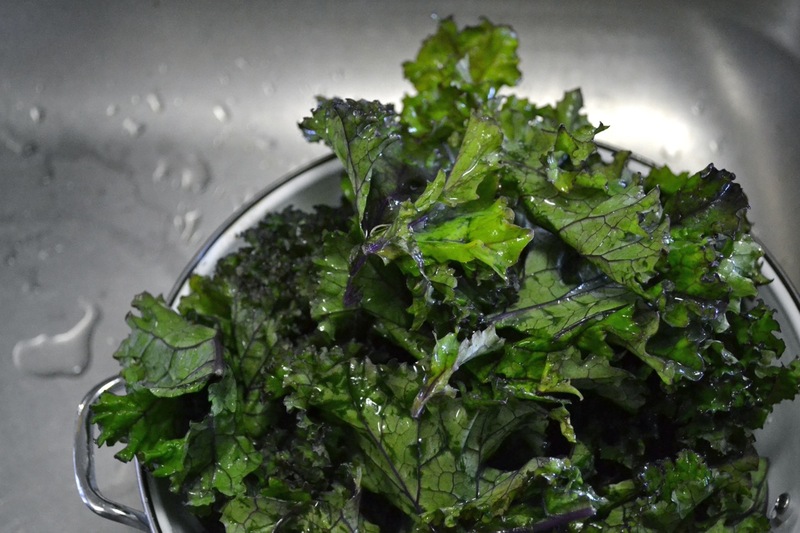 Put the kale in a bowl and sprinkle it with about ½ tsp. of salt. Use your hands to squeeze and rub the kale with the salt for a minute or two. This process helps make the kale a little more tender. 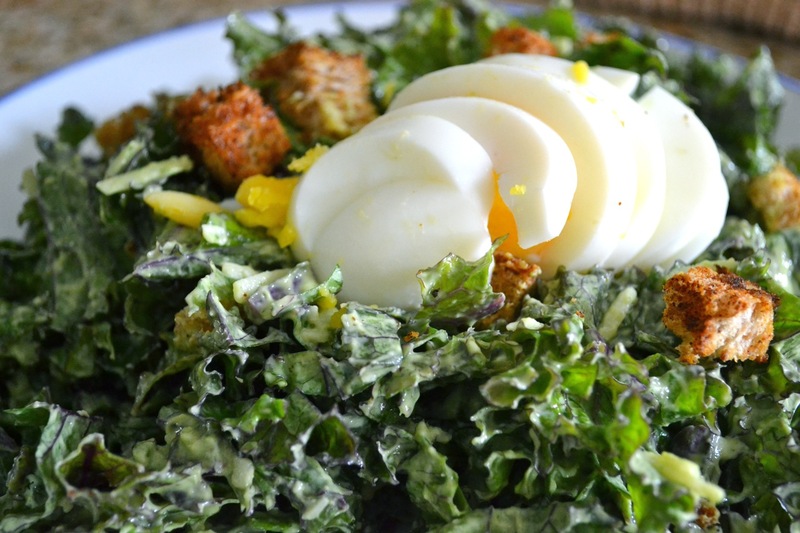 Toss the kale with as much dressing as you want plus a few grinds of fresh black pepper. Refrigerate until you’re ready to eat. To make croutons, drizzle the bread cubes with some olive oil, spread them in a single layer on a baking sheet, then bake in a 350F oven until golden, about 10 minutes. 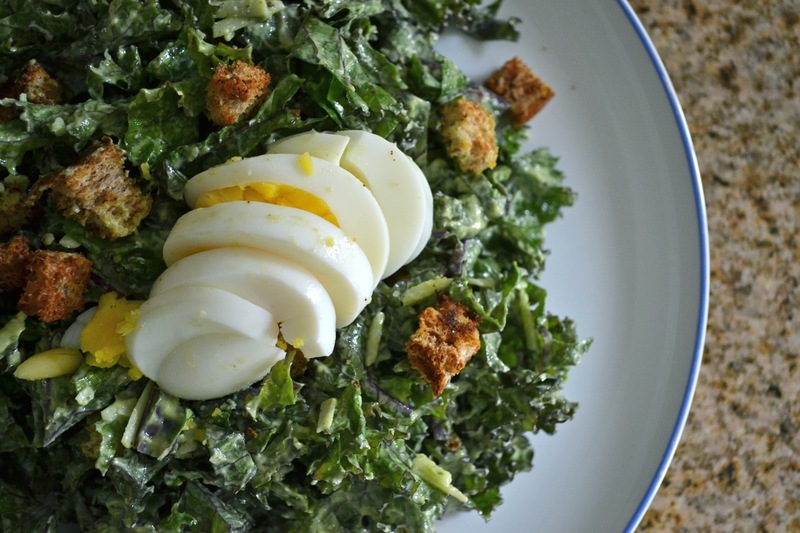 Serve the kale salad sprinkled with croutons and chopped egg, as well as extra parmesan, if desired. Yay, I just made this last night with my Dad’s Caesar salad recipe with slow-cooked egg yolks, kale, toasted pepitos, and avocado. I was basically ripping off this: http://www.trickdogbar.com/menus/ but with a Vietnamese twist–fish sauce!